Call-ins for the 2018 Contest are open! Reserve your audition spot today for Oct. 29th. 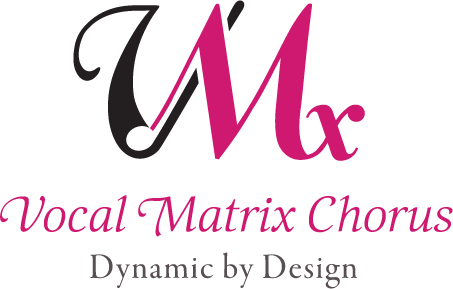 Vocal Matrix is dedicated to promoting music education in our community—not only among adults, but especially through our community’s most valuable resource: our children. We initiated our Sing for Scholarship program as a way to foster the love of music in today’s high school students, and as a way to expose the students to barbershop harmony. The program is open to any high school student. The finalists perform during the first half of the Vocal Matrix Christmas Show. The audience votes "American Idol-style" for their favorite singers. Votes are tallied and the results are announced during the second half of the show. YOUR VOTES decide the winner!! Read the Press Release from September 2013. "Thank you so much for the opportunity to compete in your 'Sing for Scholarships' program. It was an honor. It's such a blessing to have generous groups like you who encourage high school students to go out and do what they love. Performing and competing in your show was such a joy for me! So much so, that I'm sad I can't return next year. Please keep doing what you do with the knowledge that it means the world to those you come in contact with! Thank you again for showing that you are involved in the community and care about my generation." "Winning the Sing for Scholarships competition was a wonderful blessing. It helped pay for my plane ticket to fly out to Valparaiso University to audition for school."